It is quite easy to export a HEC‑RAS model to GIS shapefiles, allowing the HEC‑RAS model data to be shared with GIS and other software. 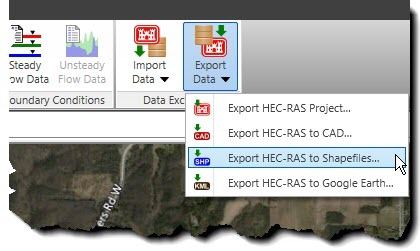 Follow these steps to display the Export HEC‑RAS to Shapefiles command. From the Input ribbon menu, select Export Data menu item and then Export HEC‑RAS to Shapefiles command. The Export HEC‑RAS to Shapefiles dialog box will be displayed. The following sections describe the Export HEC‑RAS to Shapefiles command and how to interact with the above dialog box. 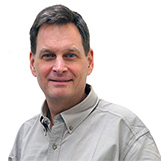 This section allows the user to select whether the GIS shapefiles should be saved into a directory folder or have the shapefiles packaged together as a single ZIP compressed file. Using a ZIP file facilitates sharing the shapefile data with other users and for archiving the project. This section allows the user to select what HEC‑RAS input data should be exported. Each HEC‑RAS element type is placed in its own shapefile. For example, cross sections are placed in a cross-section shapefile, whereas river reaches are placed in a river reach shapefile. Also, 3D polyline elements, such as cross sections, are written out as 3D polyline shapefiles. This section allows the user to select what HEC‑RAS output results should be exported. In addition, the user can select which flood map profiles to export. The Overwriting existing shapefiles checkbox option allows the software to overwrite existing shapefiles with the same file name. 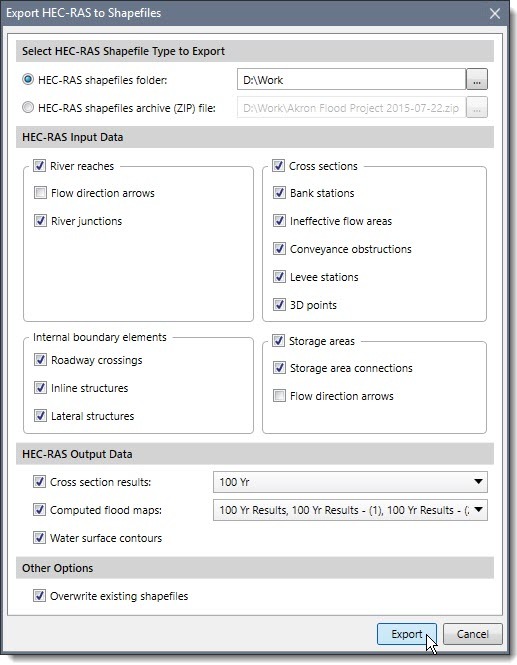 After the options have been defined, click the [Export] button and the software will export the HEC‑RAS data to shapefiles. Cross sections are exported out as 3D polylines. They represent the 3D horizontal stationing and elevation of the HEC‑RAS cross section geometry. Only the current scenario (or plan) will be exported to shapefiles. Separate shapefiles will need to be created if multiple scenarios are to be exported.